Euphoria music festival. Image courtesy of the authors. There’s something happening here, and what it is ain’t exactly clear. We can see it, feel it, hear it, smell it, and taste it more and more each day. Experiences are being designed, commoditized, and measured—changing the way we live. A recent study by Eventbrite found that over 75 percent of millennials and 59 percent of baby boomers say they value experiences over possessions. [i] While this may seem like a warm, fuzzy way of rationalizing inflated prices and obsolescent products, we see harder evidence of this claim in the fierce resurgence of the festival scene. Around the globe, from the neighborhood wine and cheese festival to the music fest mega-giants, these events have been gaining serious momentum over the past decade. They are places to meet, learn, create, and celebrate. They are community-builders and culture magnets. They are catalysts for economic and social energy. They are agents of change. They are driven, designed, and cultivated by experience. This is not new to us, right? Experience has been a design factor in the planning of resorts, hotels, restaurants, casinos, even hospitals — all acknowledging that where you are affects how you feel, what you think, and how you behave. But what about the everyday workplace? When was the last time you felt inspired by where, when, and how you worked? As design strategists, architects, and developers, we are asking new questions about how the magic word experience, might affect and enrich the environments we work in, drawing inspiration from one of the most unlikely typologies: the music festival. Through our work in strategy, analysis, and change at Gensler, we’ve been fortunate to work closely with a music festival in recent years to understand not just how, but why festivals work. From the stage to the stand-up desk, we see these trends and the principles behind them changing the way we experience our work. Our world is changing. People, place, and technology, have never been more connected. In fact, in a single minute, we like 4.4 million Facebook posts, we watch 7.9 million YouTube videos, we spend $142k on Amazon, and we send 128.2 million emails across the internet. [ii]New advancements in artificial intelligence and augmented or virtual reality are accelerating at unprecedented rates, propelling us into an era of new possibilities in the experience theater. Major disruptors in “pop-up” entertainment are empowering consumers, freeing their fans from a prescribed place and time. Why be somewhere when you can be anywhere at anytime? These experiences are designed as a forum — a framework for staged events, spontaneity, and co-creation with the audience. Similarly, technology has morphed work into a thing you do, not a place you go. What if a workplace behaved less like a series of single-purpose, brick and mortar places, and more like a variety of connected spaces, with stages flexible enough to pop-up at the right time, in the right place, with the right tools to tackle your next task? Emerging smart sensor technologies are only beginning to push our offices beyond the buzz of desk-sharing, mobility, or activity-based working. Workplaces will continue to learn and evolve, driven not only by the work we do, but how we do it — responding and reacting to our personal, user-preferred qualities of light, acoustics, and air temperature. The recent surge of the festival scene is creating more awareness and competition around the globe. As access to technology and social media continue to level the playing field, it has never been easier for these events to reach a core fan base and grow, converting casual attendees to brand evangelists. Beyond the unique one-liners and shallow novelties, we can see a new wave of festivals emerging, layered with more meaning, more purpose, and authenticity. These events are developing thoughtful, strategic brands that inspire cultures powerful enough to attract and retain not only a growing fan base, but higher talent, more partners, and more business opportunities. After a complete branding overhaul in 2015, Euphoria has exploded across fan demographics, music genres, and geography. Each year fans from around the world come together and camp in a series of small pastures in south Austin, on the banks of the Colorado river for four days and nights, seeking experiences driven by music, dancing, technology, visual arts, and local eats. Through a framework of color, light, sound, texture, and furniture, Euphoria offers a wide variety of designed environments for individuals, groups, and communities to gather. Each year, they hold facilitated team workshops for experience design to ensure that fans’ needs — physical, emotional, and cognitive — are constantly being identified and curated. “What we’re really trying to do is create more opportunity for fans to find those experiences, not just in front of the stages, but in the little nooks and crannies.” As we’ve been avid Euphoria attendees for 3 years now, it’s a difference you don’t just see, but feel. “There’s never too much research you can do,” Morales insists, “but you have to just jump in and do it.”[iv] The festival also leverages its growing brand to promote sustainability initiatives, like the Carson Creek Clean Up, partnerships with local artists, merchants, and food trucks. They are not just building a festival, they are building a community defined by a sense of family and inclusiveness throughout the year. Coincidentally, Euphoria is headquartered in WeWork Austin, a co-working office located in the heart of downtown. From a modest 120 square foot office, Morales and his team stay busy year-round, producing and consulting on smaller events. As festival season ramps up, the team grows from five to 500, including staff for production, operations, safety, box office, marketing, vendors, consultants, contractors, and volunteering — it takes an army. A space like WeWork enables Euphoria staff ultimate flexibility as teams scale up or down, anchored or remote, collaborative or focused — untethered from time and place. From WeWork’s central meeting spaces to the “nooks and crannies” in the corners, it’s easy to draw parallels between Morales’ festival philosophy and workplace culture. We think these same kinds of connections deliver true authenticity that enable top workplaces to attract and retain the best and brightest talent. As far as we can tell, the same goes for festivals. A strong, accessible base culture empowers fans, invigorates the community, and builds loyalty. Festivals are inherently temporary and have lifecycles of activity and dormancy. They are designed, built, and dismantled in distinct phases. Events like Euphoria are taking careful steps to design not only the physical destination, but the journey to create a complete, and holistic experience. Mapping the connections between discovery, orientation, commitment, preparation and learning, travel, arrival, access, departure, and memory takes some serious thinking — there’s a lot to consider with many variables. Who is the user? What information are they consuming? Is the environment physical or virtual? What activities are taking place? What decisions are made? Where are they going next? What other people, places, or things are involved? As workplace strategists, we often employ similar visioning exercises at the onset of a project. Even before a design concept or floor plan is generated. We discuss day-in-the-life scenarios from different personas — from the moment they wake up in the morning, work through the day, and go to sleep. These exercises help our clients see that the whole person comes to work. Each individual person needs opportunities to focus, collaborate, learn, socialize, and perhaps most importantly rejuvenate. They need opportunities to operate as individuals, groups, and a collective community. Thoughtful workplace design can capitalize on these opportunities and empower the workforce with freedom, choice, and encouragement to make the workday more a journey between multiple settings — not just a destination, not just a place. Signage and branding are also key components. Whether festival or workplace, a clear, well-branded wayfinding strategy helps orient, inform, educate, and even inspire. For scheduled activities or serendipitous encounters, graphic branding can help nudge or give visual cues to curate a journey or mark a destination. In 2016, Euphoria unveiled their signature branding “elements,” a menagerie of small, stylized folk art icons that evoke the local crafts and scenes of Austin. The elements have since become a defining part of the festival, connecting people, place, and purpose. One of the most common denominators among most music festivals today is the focus on health and wellness. These events become opportunities to escape — a chance to relax the mind, body, and spirit. Festival programming is growing more complex, more diverse, and more immersive, especially at multi-day, camping festivals with day and night components. Morning workshops around yoga, meditation, and therapeutics, free and open access to healthy food, hike and bike trails, volleyball and other team sports or contests — festivals are integrating a variety of mini-events to motivate, activate, and reward healthy living. Well-being is a serious focus of research at Gensler. In the last decade, sustainability drivers like LEED certification have transformed design practices across the planet. 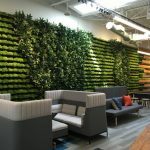 However, it’s only very recently that initiatives like WELL and Fitwel have made concentrated efforts to make buildings and workplaces healthier for the natural environment as well as the people who inhabit them. We know that the top workplaces today leverage variety and personal choice to create better well-being, productivity, and profitability. Sure — a fitness center or grab-n-go are a quick way to check the box, but what about workshop learning? What about teaching universal, restorative skills that help people in and out of the office. It is time to seek new, innovative strategies to support physical, emotional, and cognitive health at work and we are looking at festivals to inspire a new generation of ideas that motivate, activate, and reward a more engaged, connected, and happy workforce. Every festival is different and it’s easy to see why: theme, message, core demographic, location, culture, socio-economic levels to name a few, vitally important factors. But what about how they use space? We mentioned earlier that festivals are breaking from single-purpose programming, delivering more diverse offerings for more universal appeal. We can see this in the festival layout, from the box office, stages, bars and vendors, restrooms, to the walking paths, signage, and social nodes. Building a multi-day festival is like building a small city, and it’s a very mixed use approach. People are expected to stay mobile — jumping between stages, between tents, and between campsites. Most visitors show up with backpack of daily essentials — sun screen, water, phone charger, maybe a few snacks, and wallet. Mobile workforces work much the same — empowered by choice, movement, and freedom. Euphoria takes place in the same place, on the same site, each year. Though the boundaries stay set, the layout evolves each year. From small tweaks in stage orientation to completely reimagining the entry and access, the festival continues to adapt. Utilizing tools like user-surveys, interviews, and focus groups, Morales and his team have carefully constructed loops for feedback before, during, and after the event. Just like workplace, festival design today is beginning to respond to utilization and performance measures. Using sensors and RFID bracelets, festival planners can track when, where, and how fans move throughout the festival grounds. 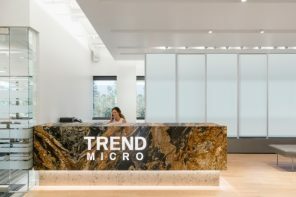 They can cull ticketing and credit card information to generate demographic and spending data to make informed decisions about programming, merchandise, and other offerings. And while it may seem a little like big brother, these metrics are becoming more and more a part of our daily lives. From the grocery store to your television, data is constantly being captured, tracked, and measured. As design strategists, we want to leverage this data to design more dynamic, more engaging workspaces. We want to explore the deep-rooted connections between organizations, individual, and the experiences that bind them together. Through our work with Euphoria, we’ve learned that explosive growth of music and camping festivals like Euphoria is demanding more strategic planning, complex programming, and smarter infrastructure. Just as in workplace design, it requires strategic thinking from aspirational to the tactical; from the means to methods. It takes a holistic understanding of the meaning, purpose, journey, and destination. For us, it’s all about people. As strategists, we are constantly seeking new ways to connect people, ideas, and expertise to create more meaningful experiences. From the stage to the stand-up desk, where you are affects how you feel, or in Euphoria’s terms, your vibe affects your tribe.